The Columbia River Gorge is stunning at any time of year, and it hold some surprises for wine lovers this autumn. 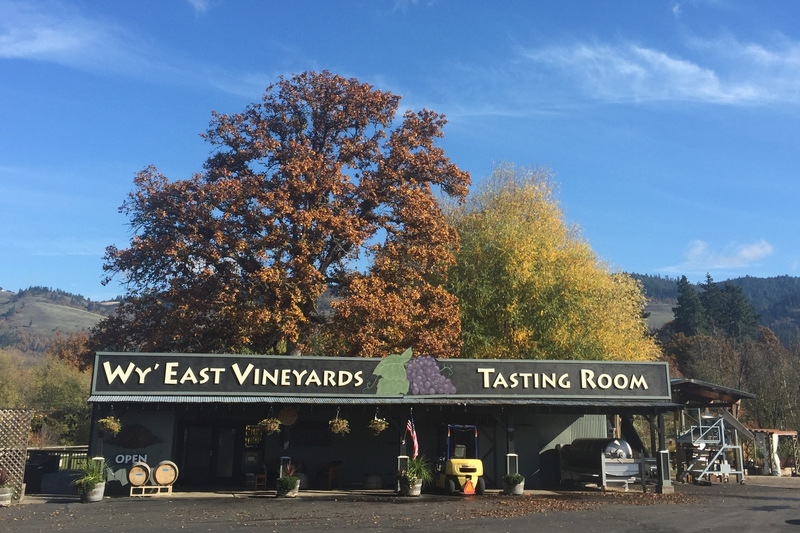 The fall Gorge Wine Adventure suggested by the Columbia Gorge Winegrowers highlights some newer, stunning tasting rooms and some of the oldest vines in the Hood River area. 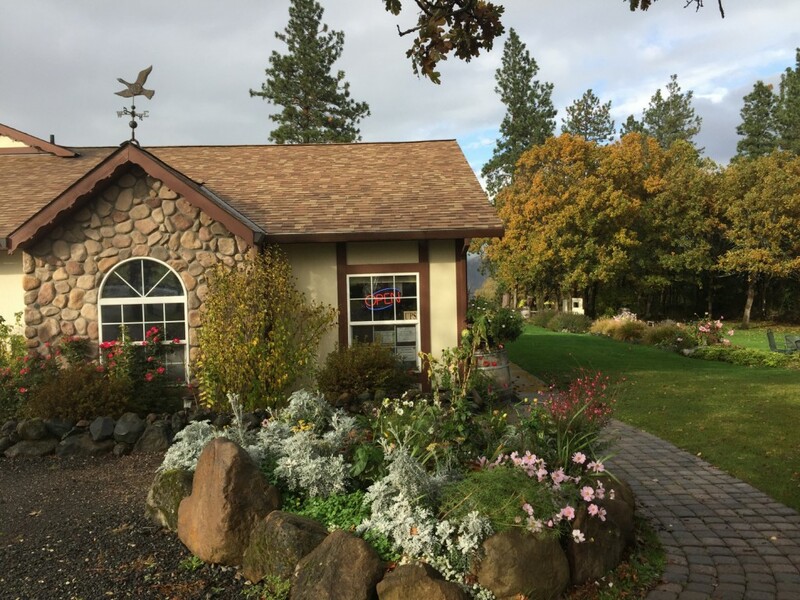 You only have to take a slight detour off of I-84 to visit the Viento Wines tasting room just west of Hood River. 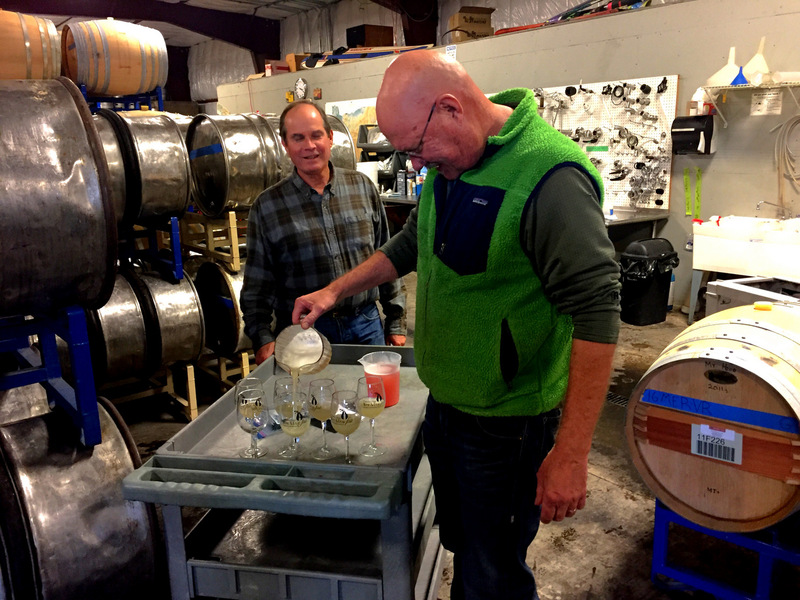 Winemaker Rich Cushman is a local and they’ve been making wine since 1986. 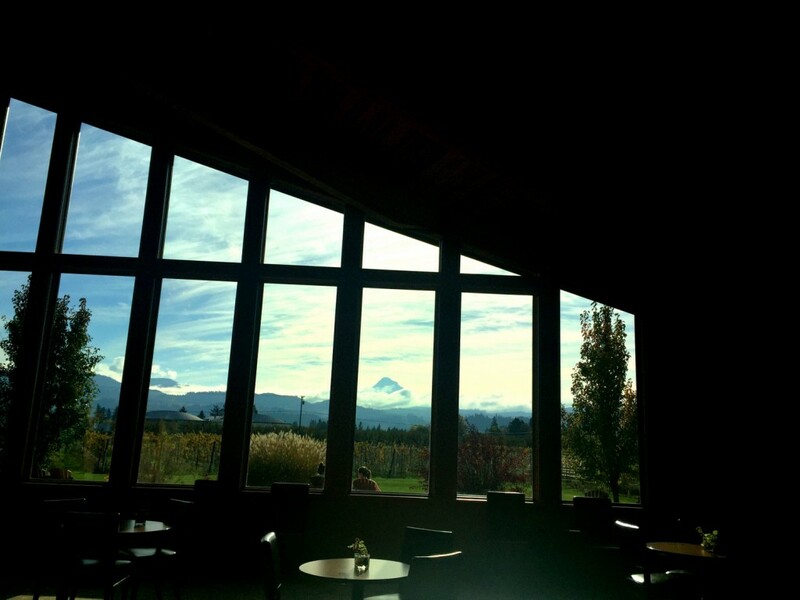 Their new tasting room is situated with its back to the freeway and windows looking over old vines and a wooded glade. You can sit outside at a picnic table or sip inside, surrounded by art. I realized I had long been a fan of their Riesling. Now tasting their Pinot Noir, Zinfandel, Barbera and Bordeaux I saw that the winemaker and I had similar preferences for enjoyable vino. They are open daily 12-5pm April through November and on weekends December through March, Sat & Sun 12-5pm. It was enlightening that Viento packages its wines to serve at local Gorge restaurants and events. I looked forward to seeing it on menus. The wine trail suggests you enjoy some mountain biking or hiking each day, and the Post Canyon Trailhead is nearby. But we had places to go and wines to drink. Our next stop was one that intrigued me because of their billboards I’ve spotted in Grand Ronde enticing people to keep on driving rather than permanently detouring in Dundee or Carlton. Cathedral Ridge Winery has as German-accented tasting room and a huge outdoors area built for picnicking. They focus on big reds, but basically they love to seek out wine varieties like they were Pokemon, determined to collect them all and make them into wine. 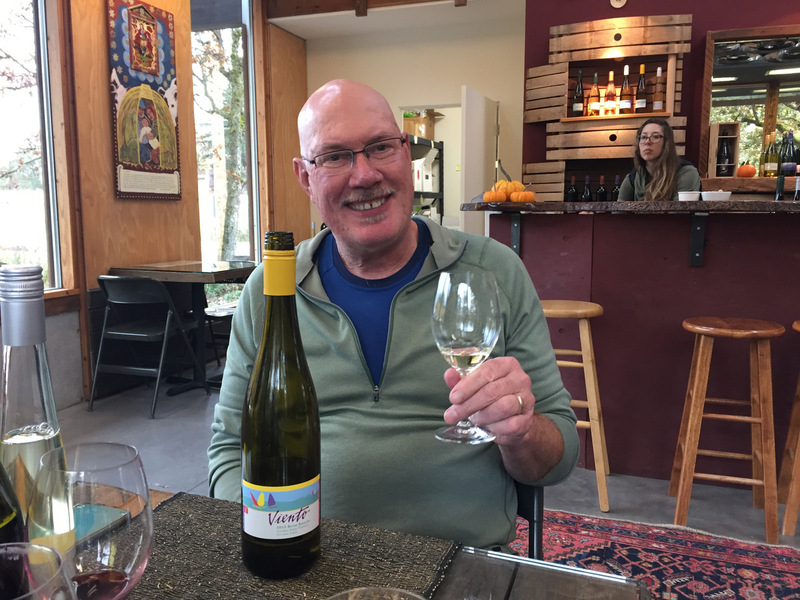 If you thought Oregon wine was all Pinot Noir and Pinot Gris, you will swiftly discover there is much more. You can go hog wild here trying different varieties. 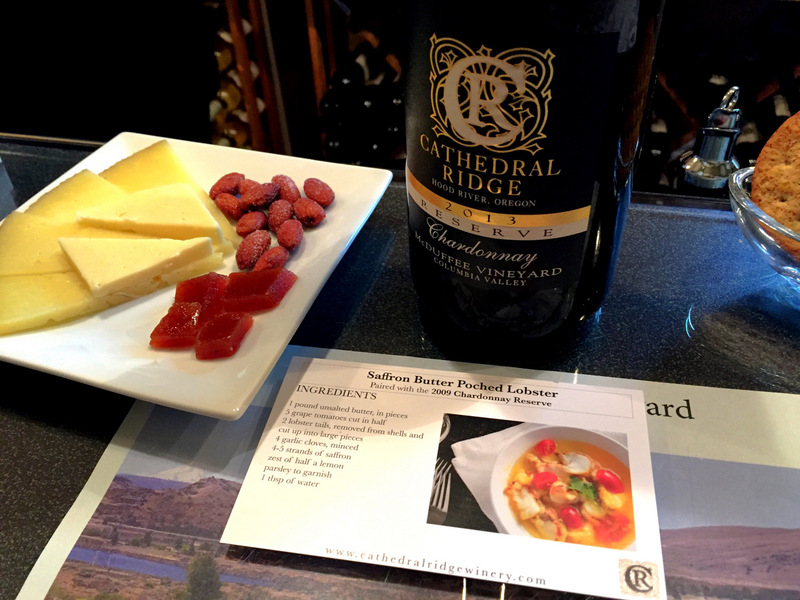 The Cathedral Ridge Winery is open daily from 11 am until 5 pm through April then till 6 pm until November. We continued up Country Club Road to the actual Hood River Golf Course and Phelps Creek Vineyards nestled next to the greens. They are open daily from 11 am – 5 pm, all the better to raise a glass after a round of golf. Their winemaker, Alexandrine Roy visits from Burgundy to create their wines, especially a lovely Pinot Noir. Back the short trip to the waterfront of Hood River, we had dinner at Solstice Wood Fire Cafe & Bar. The menu features creative wood-fired pizza or create your own from more familiar ingredients. 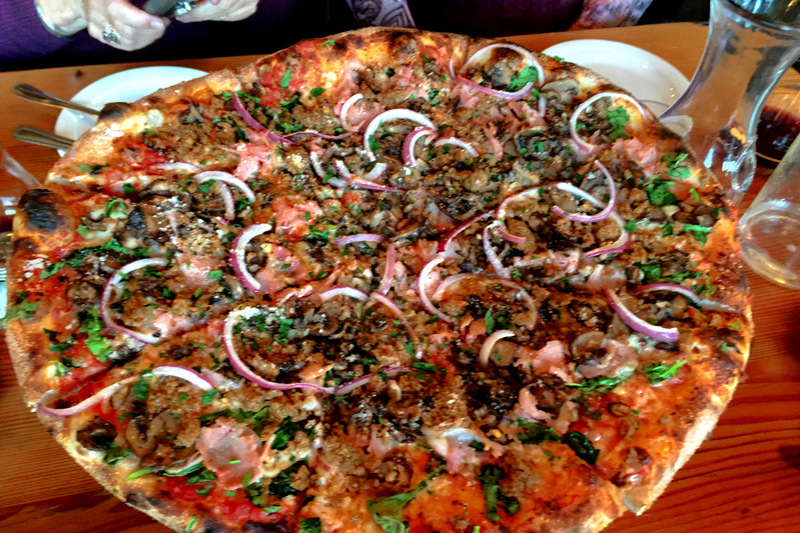 I was pleased that their idea of pizza was more like my own – a pie covered with a variety of delicious ingredients. I am not a fan of ultra-authentic Neapolitan pies with three dabs of stuff and just a whole lot of slightly-burned thin crust. We had their signature Country Girl Cherry with cherries, house made chorizo sausage, goat cheese, shredded mozzarella and marinara. The portions and price is good. We also had the fried Brussels sprouts with brown sugar and maple marmalade and a salad. Naturally, it was accompanied by a local wine, with Viento available as well as others. But if you prefer some of the Gorge’s great brewers, you could have Full Sail and others. 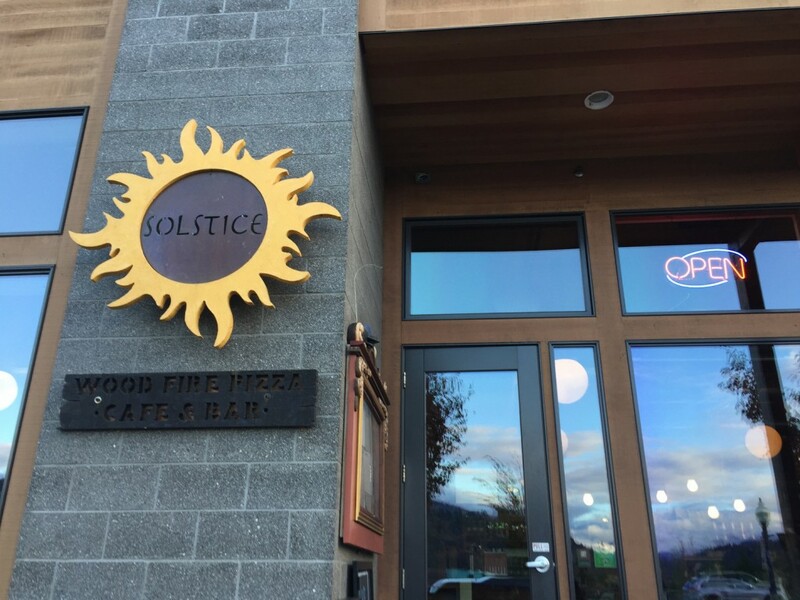 Solstice is open daily from 11 am – 9 pm, so you can stop in for lunch or dinner or post-hike snacking and sipping. 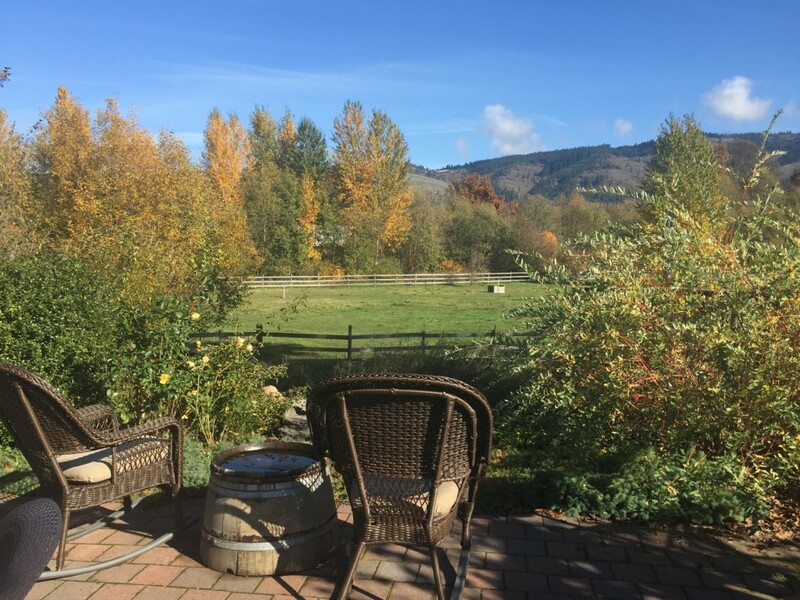 I walked the Columbia Gorge Half Marathon at the end of October and so I’d seen our lodging for the night, the lovely Hampton Inn Hood River. It’s right on the waterfront so I may well stay there next year. Downtown Hood River is an easy walk as well. The bed was gorgeous and the views were as well, of the Nichols Boat Basin. 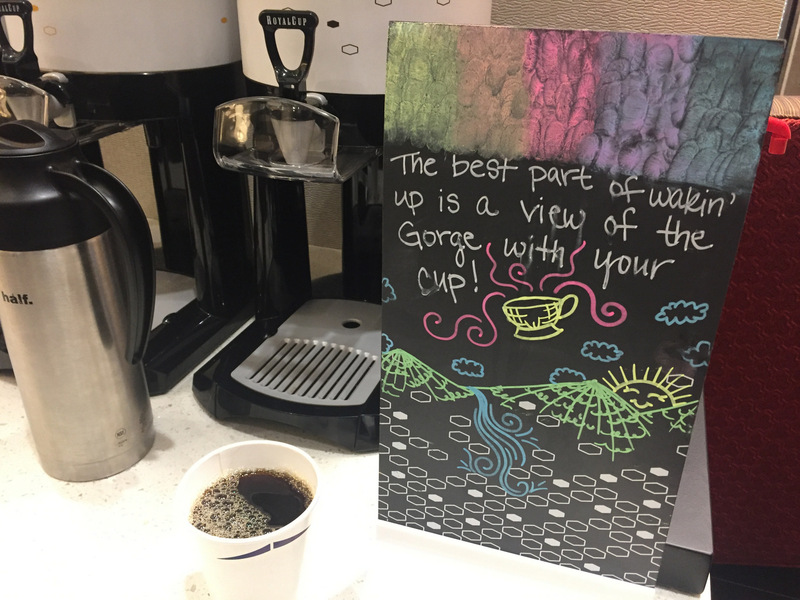 Naturally, they have coffee in the lobby and a continental breakfast included. All the better to fuel a hike in the morning before further exploration. For this day, we headed up Highway 35 on the east side of Mt. Hood, through the Hood River Valley. Our destination was the Tamanawas Falls Trail. Unfortunately, nature had conspired to close access to the falls with a rockslide until spring. Nonetheless, it was magical to be reacquainted with this trail that follows Cold Spring Creek. You need $5 cash to pay for the Recreation Pass to park at the trailhead. We stopped at a fruit stand on our way to Wy’East Vineyards. Through November they are open Saturday and Sunday 12 -5 pm. It was lovely to chat with the staff and taste the locally-sourced grapes. They have a large variety of seating on their deck as well as inside. I loved their Riesling and bought a couple of bottles. 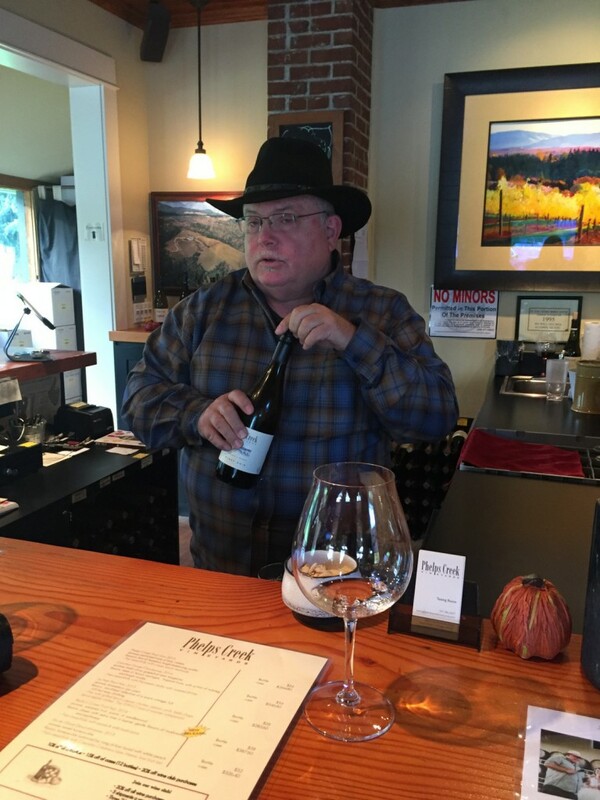 Once again, I was impressed by the quality of wine being produced in the Gorge. Our final winery was Mt. 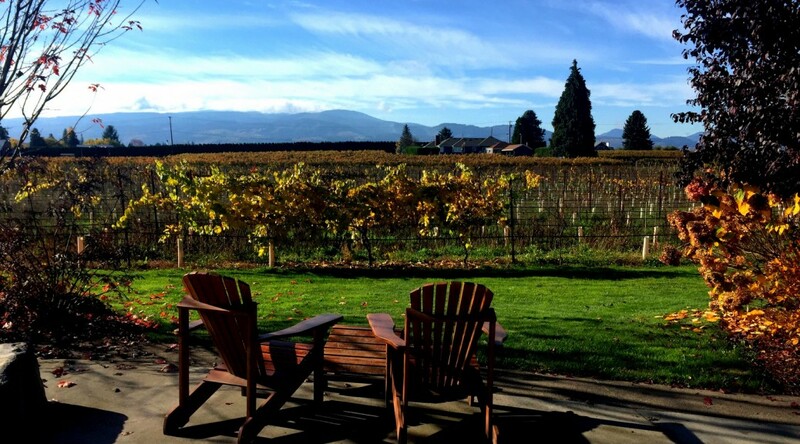 Hood Winery, which is open 11 am – 5 pm daily through November, when it closes until March. 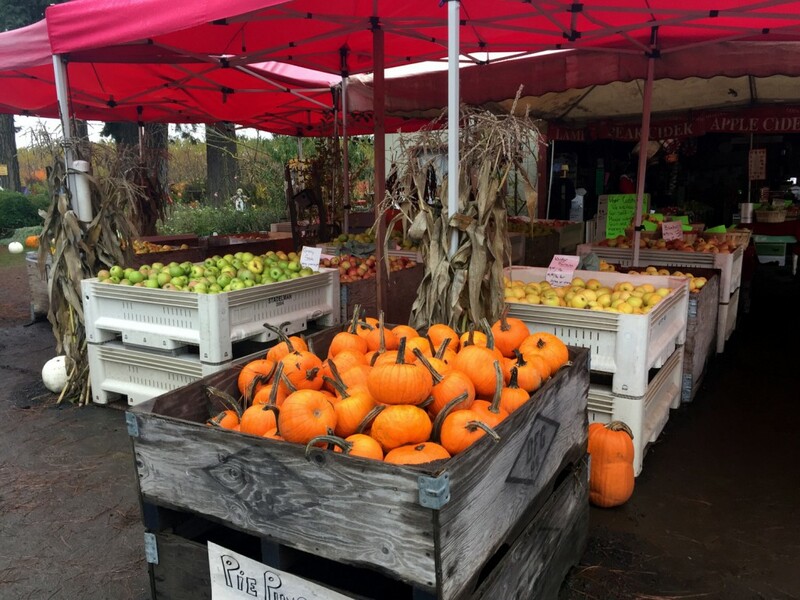 It’s located on a Century farm operated by the Bickford family, next to the Mt. Hood fruit canning operation. The lovely tasting room has soaring ceilings and seating on the wrap-around veranda so you can meditate on the wonder of nearby Mt. Hood. 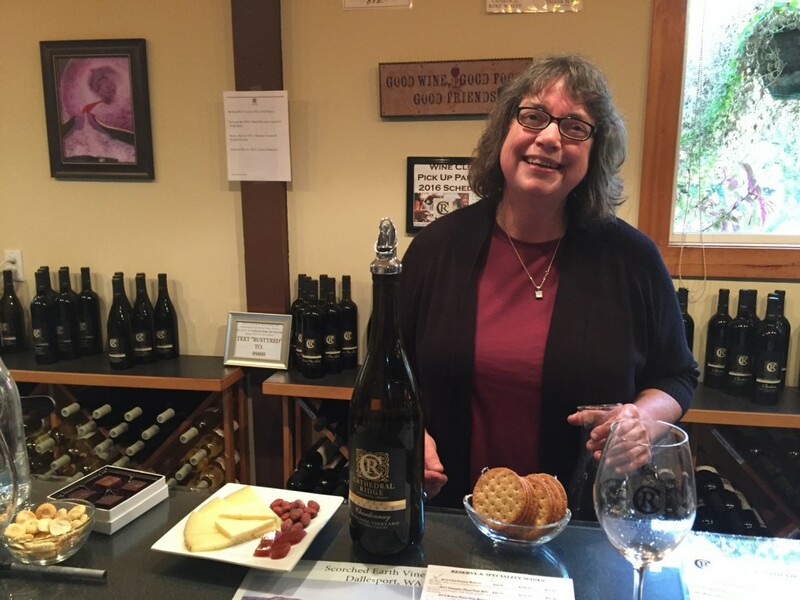 They were named 2016 Oregon Winery of the Year by Wine Press Northwest and their 2014 Estate Pinot Noir won Best Oregon Wine at the 2016 Cascadia Wine Competition. The wines and the views were both stunning and this is a must-visit stop to make. We then got a special tour of the winemaking operation nearby and enjoyed barrel tastings of whites and reds. They are a center of winemaking for several wineries. 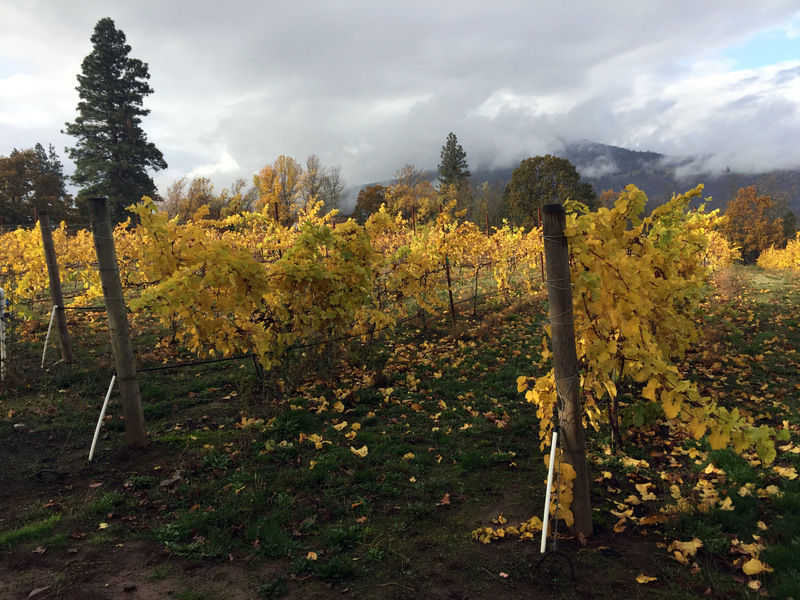 The tradition of farming and winemaking runs deep in the Gorge. This trip convinced me that the Gorge is a worthy wine destination, as much as my beloved Yamhill county destinations.